UPDATE: This offer is expired for now, but be sure to check back we will be sure to post if this goes live again. To never miss a freebie you can follow us on Facebook, Google+, Twitter and Pinterest. 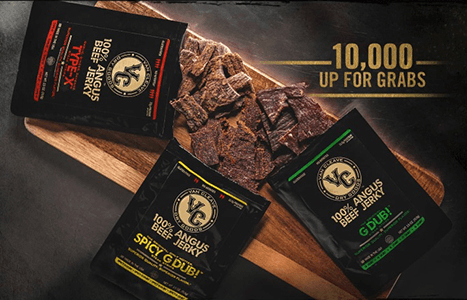 Get a FREE Bag of Beef Jerky! Login or register. Scroll down to get the offer. Limited to the first 10,000!